Water is a finite resource that is necessary for human life, as well as being a part of many business operations. Yet 80% of wastewater flows back into the environment without being treated or reused. As a multinational company with operations and suppliers that span the globe, Dell recognises that the impact of its business extends into its supply chain. Dell is committed to being a responsible steward of water resources and, in addition to managing water use in its own facilities, Dell works with suppliers and other stakeholders to address water risks. One way Dell drives water management within its value chain is by understanding the broader context in which its suppliers operate. In 2014 Dell asked suppliers to participate in its water hotspot survey so that the company could identify ways to partner together and better manage water use in its supply chain. The survey uncovered an opportunity to assist suppliers in reducing water risks by sharing tools and building a methodology for long-term monitoring of water information. As a result Dell embarked on an effort to collect water risk mitigation plans from 250 suppliers by 2020. Dell is targeting direct materials suppliers with factories in water-stressed regions or with water intensive processes. These suppliers are required to develop a five-year plan to reduce the water impacts of their operations. These plans include proposed improvements, water savings and wastewater reduction targets, and regular reporting on performance. Dell works closely with these suppliers to develop their long-term capabilities in implementing robust and impactful water conservation strategies. For instance, in 2017 Dell gathered suppliers for a training in Suzhou, China focused on data collection and analysis techniques, assessing water risks to identify improvement opportunities, and making commitments for water management. The training concluded with techniques suppliers could use to evaluate project performance and communicate progress. Dell also developed tools to allow suppliers to easily report and update their water mitigation plans. These tools allow Dell and suppliers to collectively track progress and analyse data to determine the water-related impacts of their activities before and after implementing mitigation plans. Dell uses this data to support suppliers in their water management efforts. For instance, Dell assists suppliers in analysing their water use and help to identify key areas of their factory driving water use. This analysis also reveals best practices that can be shared with other factories working to improve water management. Some of the projects Dell’s suppliers have implemented to improve their water management include collecting rainwater, increasing wastewater testing frequency, and inspecting for pipeline leakages. Last year alone, the projects implemented from these plans saved suppliers over 815,000 m³ of freshwater and reduced wastewater discharge by 2.4mn m³. Working with its suppliers and on its own operations is important, but Dell believes in supporting collaborative and collective action among all the stakeholders within a watershed. Management at this level ensures that the shared resources are properly protected and maintained. For several years Dell has been collaborating with its suppliers, local community representatives, other consumer brands, and industry groups to address water risks in China’s Tai-hu Lake catchment. This is the third largest freshwater lake in China and the source of water for 60mn people including the populations of Shanghai, Suzhou, and Wuxi China. Water quality issues in the past have caused algae blooms which affected the availability of drinking water, were harmful for fish, and caused some factories to temporarily stop production. In 2017 Dell organised a roundtable for participants to discuss solutions such as increasing the use of recycled water, implementing water metering management, and storing and treating wastewater sludge. This year, the company is providing support to its suppliers and driving collaborative efforts to address the common risks that were identified in this catchment area. In August 2018, the roundtable met again with 45 participants providing updates and exploring how to address shared water issues in the Tai-hu Lake catchment area. Dell’s effort to drive positive impact is ongoing – the company continues to collaborate with its peers and customers to address water issues in China and continue to engage with more stakeholders to align on expectations and actions. Dell encourages its suppliers to become certified by the Alliance for Water Stewardship and they are driving accountability, continuous improvement, and transparency to build a safer, more secure value chain. 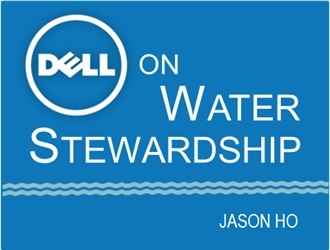 More information about Dell’s activities can be found on the company’s blog and website, and its Water Policy Principles outline the actions Dell takes to understand and manage the impact of its business on water use and quality. Brand Rankings On China Supply Chain Action – Kate Logan & Helen Ding from the Institute of Public & Environmental Affairs expand on the 4th Annual CITI Evaluation Results. Which sectors are doing best? Which brands are taking the lead?